Andrew Mayhem is just your average guy who doesn't like to work. He dislikes working so much that he actively seeks out difficult and odd jobs to keep from having to get one of those "real jobs." Well, he doesn't "actively" seek those jobs out because that would actually require effort on his part, but when a chance to make money falls into his lap Andrew is often tempted to take that chance. So when Jennifer Ashcraft enters The Blizzard Room and asks him and his good friend Roger Tanglen if they would kindly dig up her husband's grave to find a key in exchange for a payment of 20,000 bucks... Andrew Mayhem is indeed tempted. Roger, not so much, but Roger is a weak-willed guy. It isn't until the night of Andrew and Roger's night of morally questionable labor that things start going wrong. Well, even more wrong than graverobbing. The corpse they dig up isn't a corpse, but a man armed with a gun on the brink of insanity (the man, not the gun). Andrew and Roger then find themselves beaten and kidnapped by an unseen adversary who is undoubtedly behind the coffin fiasco, but it isn't until they miraculously escape (well, technically they are just dumped off in a ditch... but "miraculously escape" sounds much better, right?) that the real story begins. Once awake, Andrew finds himself in a race against time to stop the brutal murders of four innocent people all the while trying to stay one step ahead of what could only be a criminal mastermind. All of this is hard enough for a guy like Sherlock Holmes, but Andrew is no Sherlock and half the time Andrew can't even find a babysitter for the kids. So how can he possibly hope to find a killer? 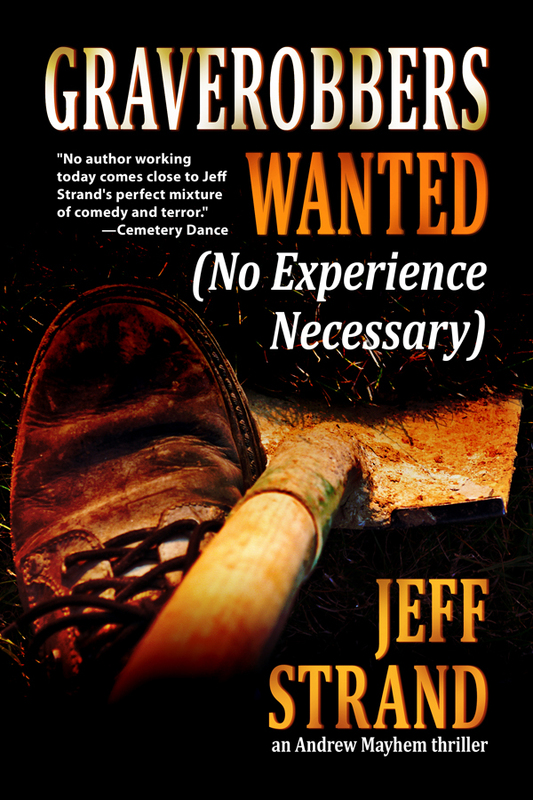 Graverobbers Wanted (No Experience Necessary) is a really fun novel. Even when it gets mucky and gooey near the end. Don't take it too seriously and you'll certainly have a good time.